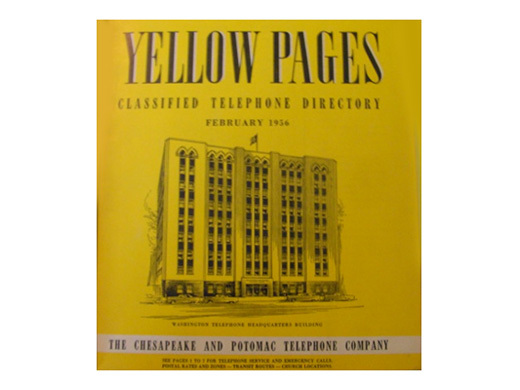 The expressions "Whitepages" and "Yellowpages"
on printed phonebooks all over the (English Speaking) World. to have an online directory. In 1982 the French PTT launch the Minitel in France. to add information pages behind a Phonebook Listing. 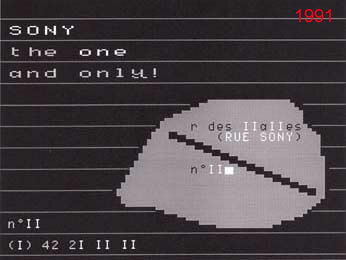 of a "prehistoric 100 page Minitel Site"
once created by the editor of this article. only on the "prehistoric" France based Minitel system. the once Australian State owned phone company. commercial, pointing out the world "hi"
part of the world "White Pages"
at an unknown date after 1991 and before 1995.
from Sweden when he was 13 years old. 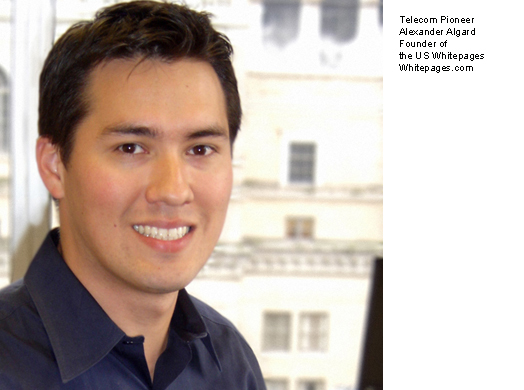 to buy the whitepages.com domain for $ 900. 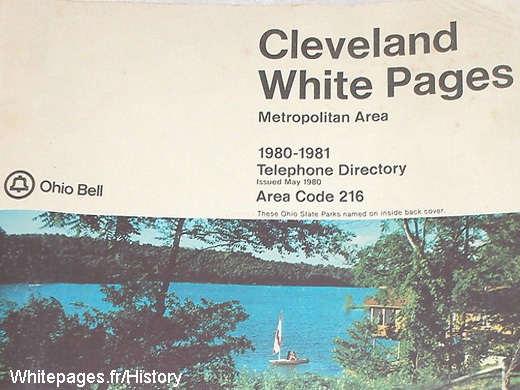 This happened 1996, April 8.
used in the United States for Residential Directories. Dane Madsen, Bill Povodonra and Roland Oister. but the first owner forgot to pay the domain renewal charges. 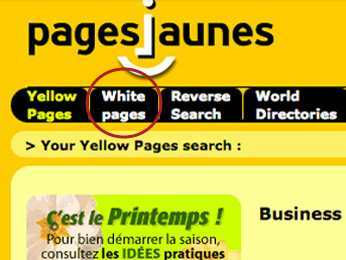 features "White Pages" and "Yellow Pages"
in the english version of their site. a month before the opening of the .fr domains. 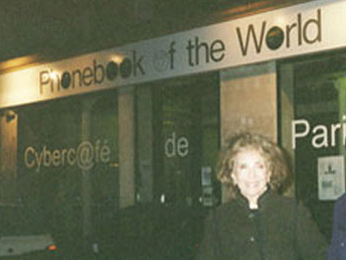 2000 January 25 the Phonebook of the World. of the cybercafe that was completely computer illitarate. names followed .com ... nothing worked. for one year only, reducing the investment to 35 US Dollars. (The list gives one example for each letter of the Alphabet). a few country phonebook domains are registered every day. the White Pages domain for Canada. were entitled to register a .ca domain. as it is shown by an "extrait Kbis"
For individuals of foreigners registring a .fr domain is not allowed. that the French public starts to adopt ".com"
as if the American / International .com was also the French internet extension. first step in liberalisation of French Internet Domains. can can now register any "imaginary" domain name. before they are allowed to register a .fr domain name. sor someone living outside France. The application still needed to be send over the fax line. and a bit like a hopeless lotto ticket. 25 Euros were charged on the Phonebook of the World Credit card. it is something that we did not know at the time. going back to the year 1300. Have a look at the gate on the left side of the Cremerie de Paris. 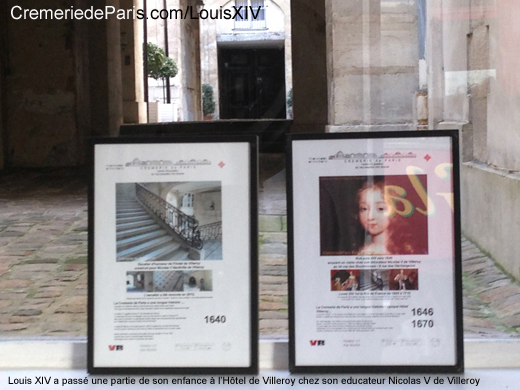 and from 1671 to 1738 seat of the Royal French Postal Services. grandson of the company founders Leon Pajot and Louis Rouille. He was called "Maître des Postes du Royaume de France". the southest one beeing located in Rome and Venice. Horse carriages were bringing mail from Paris. The Postal station even had a "cabinet noir"
having now idea about who she really was. regardless her age which had always been a secret. that spoke 8 languages and that was still extremely beautiful. and when she arrived at a reception, every head was turning around. 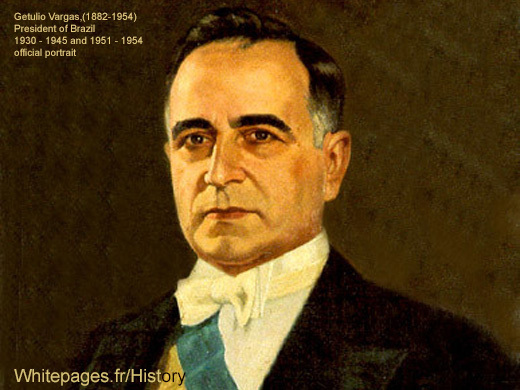 a Brazilian expatriate living between France and the United States. had taken her on a trip to the United States. a magnificent place near the US Border. with his mife Marbel and some young and very glamorous scientists. he had invented the Telephone. 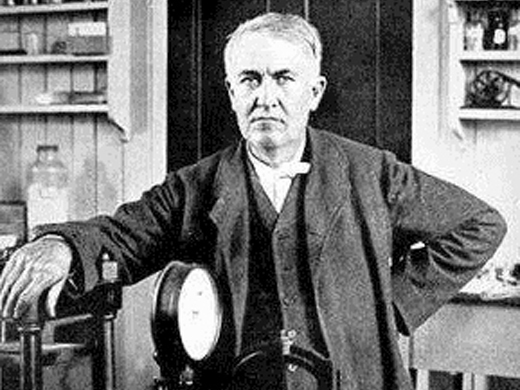 Mr Edison was working all the time. 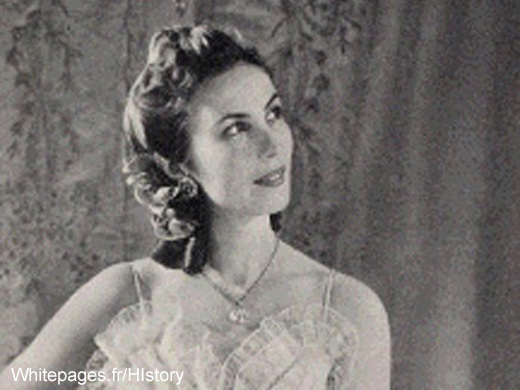 He must have been fascinated by Aimées beauty, originality and style. and a little with the GE Logo. The "curles" in the GE logo represent the movement of electricity. The circle around makes it timeless. "it is like feeling electricity everywhere ..."
until the President's personal diary was release 40 years after his death. 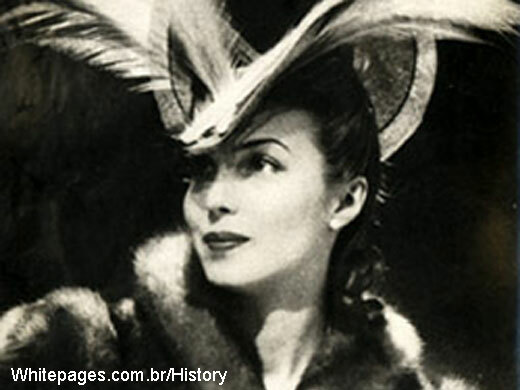 a friend of the fashion designer Coco Chanel. she had to leave again and moved on to New York. 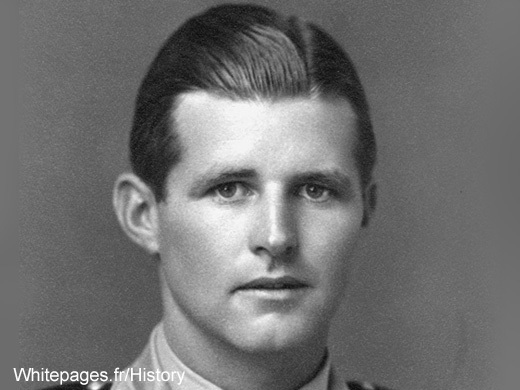 the oldest of the 4 Kennedy brothers. 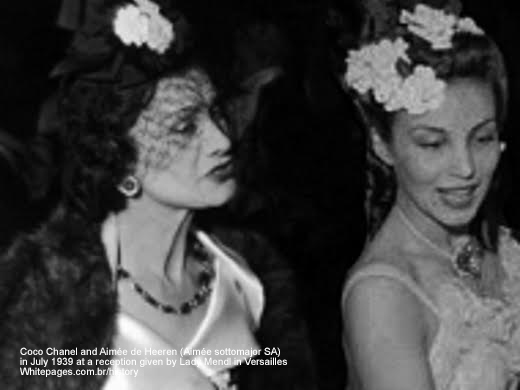 They had met on the côte d'Azur shortly after Aimées arrival to Paris. 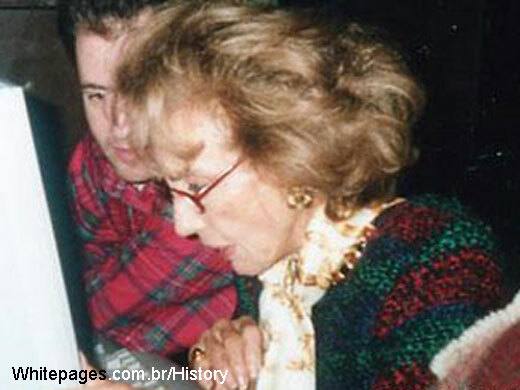 Aimée never cared about "age"
there she was at the Cybercafe to take internet lessons. ... everybody around the Cybercafe loved her. (Aimée had just returned from New York where she lived part of the year). "You know 25 euros is not that much !!" never thought about registering the domains"
but what about Brazil ? and sometimes she was a little home sick. knows the expression "Paginas Brancas"
understands the world "Pages Blanches"
understands "Yellow Pages" and "White Pages". "You must get White Pages.com.br for Brazil. and if you don't have enough I pay half of the ticket." by the Comitê Gestor da Internet no Brasil. If only Alexander Graham Bell would still be there. and expand it to many many other countries ..."
the renewal of the domain name. it still was the dawn of the internet. and one of the World's most famous Pop Up Stores locations.